The prologue was added to the game as part of the massive update earlier this week, though it’s not technically available to view in-game yet. Update: Bungie has officially released this trailer on their channel. 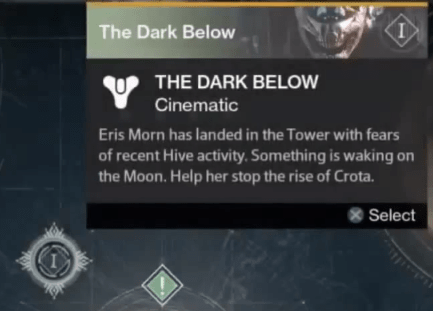 For more information about what’s coming with The Dark Below and House of Wolves, check out this article (it’s been updated). Eric, better known as Urk, replied to this saying that the form we saw in the trailer – the prologue – is only one of Crota’s forms. We can definitely scale standard enemy types, and do, but for special encounters the team creates new geometry, shaders and effects, encounter mechanics, sound effects, etc. What you’re seeing in the prologue is one of Crota’s forms. We’ll have some more info dropping soon, but we’ll be pretty tight lipped about the Raid and Raid boss for obvious reasons. He said that some bosses are intentionally based on base enemy types, in a similar way that Phogoth is based on an Ogre. In some cases, the differences are minimal so we don’t lose affordance (for example, lasers are going to come out Phogoth’s face), in others the changes can be more radical. He also explains that the expansion’s dialogue was recorded after the launch of the game. All of the new Tower lines, story in and outs, and in mission dialog were recorded well after launch. Finally, Urk unveiled that the press will be getting an early look at The Dark Below. If you’re interested in getting an early look at The Dark Below as well as many other games, PlayStation is holding a community event on December 6-7!